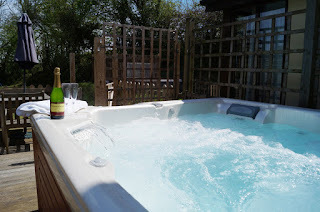 North Hayne Holiday Cottages are located on a farm at Bishop Nympton in Devon. The farm is an ideal base for families and friends who want to explore this beautiful part of the West Country. 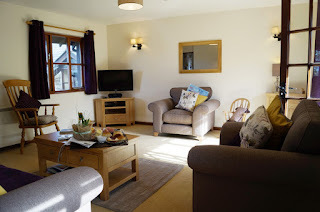 For larger groups, the cottages can be let together to accommodate up to 45 guests. The farm cottages are set within 10 acres of rolling pasture land. They enjoy far reaching views of Exmoor and are in the heart of a peaceful valley. The accommodation has been converted from old farm buildings, to provide modern and comfortable accommodation for all the family. They still retain many of the original features along with more homely and current luxuries. Each property has a private hot tub. Head down to the barns twice a day to help feed and care for the animals, then collect freshly laid eggs from the rehomed ex-battery hens who will provide plenty of entertainment for anyone brave enough to feed them worms or pasta! Younger guests can enjoy donkey rides, taking the goats for a walk, and making friends with the other resident animals. Nearby South Molton has shops, cafes, pubs and restaurants. It is also the gateway to Exmoor. When you’re not wandering through the town you could visit one of the many attractions in this area of Devon.